The By Lawyers Victorian Magistrates’ Court – Civil guide has been updated to reflect recent changes to the Magistrates Court rules affecting subpoenas in civil matters. The Magistrates’ Court General Civil Procedure (Miscellaneous Amendments) Rules 2018, which amend the Magistrates’ Court General Civil Procedure Rules 2010, came into effect on 15 October 2018. These amendments make important changes to subpoena forms and processes in the Magistrates Court’s civil jurisdiction. The intention of the amendments is to harmonise Victoria with other Australian jurisdictions with regard to subpoenas. Importantly, the existing form for Magistrates Court subpoenas, form 42A Subpoena to attend to give evidence, has been updated. There are also two new forms for Magistrates Court subpoenas, forms – 42B, Subpoena to produce and 42C, Subpoena both to attend to give evidence and to produce. For more information on Subpoenas generally, see the By Lawyers Reference Manual 101 Subpoena Answers located in the Reference Materials folder at the top of the matter plans in all By Lawyers litigation and criminal guides. If you are wondering what all the fuss is about with By Lawyers new Personal Injury Guide for Victoria, listen to this podcast from our Senior Consultant and Editor Brad Watts explaining the content and advantages of this newest addition to the By Lawyers litigation guides. You can access this episode on Soundcloud – or click below to listen! The Medical Treatment Planning and Decisions Act 2016 commenced 12 March 2018. It gives statutory recognition to advance care directives and simplifies and contemporises laws relating to medical treatment decision making for people without decision making capacity. The By Lawyers VIC Powers and Advance Care Directives matter plan, precedents and commentary have been updated accordingly. 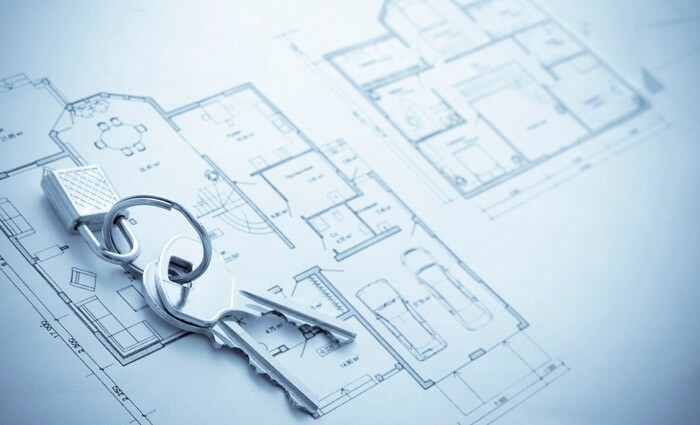 The sale of land ‘off the plan’ is a common occurrence in the property market. Its principal virtue is that it provides certainty to both vendor (as to the sale) and purchaser (as to the eventual purchase) of the subject property. Whilst there may be some delay in relation to the eventual settlement, which cannot occur until the proposed plan of subdivision is registered at the Land Titles Office, both parties can be confident that, upon registration, the contract will proceed to settlement on the agreed terms. large-scale subdivisions, including ‘greenfield’ sites, creating multiple lots. Whilst projects in these two categories can have enormous differences in scale – from 2 lots to 1000 or more lots – the same legislative framework guides the subdivisional process (Subdivision Act 1988 (Vic)) and the same legislative framework regulates the vendor’s obligations, and purchaser’s rights, on sale (Sale of Land Act 1962 (Vic)). Pursuant to the Subdivision Act, the vendor is required to satisfy the local council, acting in a supervisory capacity, that the proposed plan satisfies all of the subdivisional requirements of council and service authorities; and, when satisfied, council will seal the plan and provide a statement of compliance. These documents are then lodged with the Land Titles Office and, in the normal course of events, the plan is registered and settlement may take place. The Sale of Land Act prohibits completion of the sale until registration of the plan, imposes pre-contract requirements and creates during-contract rights, which are essentially designed to protect purchasers. The 2008 contract of sale, widely used for sales generally, adopts these broad guidelines; and it is possible to create a contract for an off the plan sale relying on the particulars of sale and general conditions alone, without the need for any special conditions or annexures. This is particularly so for small-scale developments, although larger-scale subdivisions involving substantial earthworks may require the inclusion of a plan showing ‘works affecting the natural surface level’: s 9AB Sale of Land Act. multi-unit subdivisions, including high-rise developments. The same subdivisional and registration processes apply to these developments, with the added complication that councils generally will not issue a statement of compliance until construction of the development is complete. Such contracts envisage the construction of improvements on the land during the contract, and a special condition will usually be added to the effect that the contract is not a major domestic building contract and that the vendor will enter into a major domestic building contract with a registered builder. The extent of detail provided to the purchaser in respect of the improvements to be erected is not regulated and may vary from reliance by the purchaser on a glossy brochure provided by the vendor (which is not included in the contract) to a full copy of the major domestic building contract (including specification) that the vendor has or will enter into. It is fair to say that purchasers ‘take on faith’ that the vendor will ultimately deliver to the purchaser at the expiration of the contract the product, in all its glory, that was touted as being sold when the purchaser entered into the contract. Once the contract has been signed and the project is underway, the purchaser enters purgatory – a state of perpetual waiting. Even if the project is a mere land subdivision, ages can pass before the plan is registered. If a home is being constructed, long periods of inactivity cause concern. The default period between contract and settlement (14 days after notification of registration of the plan) is 18 months, but contracts can adopt another period and contracts spanning 60 months are common. A recent case has considered the vendor’s obligations in terms of completion of the project within the required period: Joseph Street Pty Ltd & Ors v Tan & Anor  VSC 586. The project was a relatively small development by the vendor of six units. The contract completion, or sunset, period was 15 months, and the vendor had entered into a contract with a registered builder for construction of the units. Regrettably, the builder ‘went broke’ and the project was substantially delayed while the vendor put other construction arrangements in place. The sunset period expired, the vendor rescinded the contract and the purchaser sought specific performance. No doubt, given the rising housing market, the property had appreciated and both parties sought to take advantage of that situation. To succeed, the purchaser had to establish that the vendor was in breach and thus not entitled to rescind. The purchaser sought to do so on the basis of a breach by the vendor of an express contractual obligation to use ‘best endeavours’ to complete the contract within the sunset period. It was also agreed that such an obligation was an implied term of the contract. The court concluded that the true cause of the delay was the collapse of the builder, an occurrence that was beyond the control of the vendor. The vendor had therefore fulfilled its contractual obligations to use best endeavours and was entitled to rescind, thereby retaining the (more valuable) property. Whilst there is considerable consistency between the property laws of Victoria and New South Wales, there are also significant differences. deposit release is prohibited in New South Wales but common in Victoria. there is no equivalent in New South Wales to Victoria’s statutory right to clawback fraudulent transactions s 172 Property Law Act 1958. Perhaps the best known example of the difference was the view previously held in New South Wales that the existence of an illegal structure on land constituted a defect in title and allowed a purchaser to avoid the contract. This was in contrast with the Victorian view that such a defect was merely a quality defect and that the vendor was protected by the principle of caveat emptor. The New South Wales view was ‘corrected’ (that is; brought in line with Victoria) by the Court of Appeal in Carpenter v McGrath 40 NSWLR 39 and consistency has reigned since. In recent years a significant difference has again occurred with New South Wales taking a ‘radical’ view of the impact of fraud in certain mortgage transactions. In both jurisdictions it is accepted that whilst fraud is an exception to indefeasibility, nevertheless registration of a fraudulent instrument by a party who was not party to the fraud will be indefeasible. Mortgagees have therefore been able to rely on mortgages that have been fraudulently signed provided that the mortgage was registered and the mortgagee was not itself a party to the fraud. However in New South Wales an argument was accepted that it was possible to look ‘behind’ the mortgage at the document that constituted the agreement to repay as it was that document that created the obligation that justified the mortgagee’s security interest and the extent of the mortgagor’s covenant to repay was to be determined by a consideration of the contractual agreement between the parties. If that contract (loan agreement) created an obligation to repay a specific amount then the covenant to pay protected by the indefeasible mortgage was enforceable. However if the loan agreement referred to an ‘all monies’ mortgage relating to past and future advances then it was said that the mortgagor’s covenant to pay arose contractually from the ancillary documents that related to the actual advances and that if those documents were fraudulent then the covenant to repay arose outside of the protection of the indefeasible mortgage. Essentially, it was said, no money was advanced pursuant to an ‘all monies’ mortgage as the money was advanced pursuant to forged documents. Victorian mortgagees quaked in trepidation as an army of decisions mounted on the north bank of the Murray River set to wreck havoc on Victorian all money mortgages but Pagone J. in Solak v Bank of Western Australia  VSC 82 manned the ramparts and beat off the hordes by upholding an all monies mortgage and the lenders breathed a sigh of relief. However a Trojan Horse has appeared in the form of Perpetual Trustees Victoria Limited v Xiao  VSC 21. Hargrave J. has adopted the New South Wales analysis of an all monies mortgage and has described the decision in Solak as ‘plainly wrong’. The scene is now set for a definitive decision by the Victorian Court of Appeal on what is an important point of law. According to Xiao a mortgagee of a forged all monies mortgage is not able to enforce the mortgage or undertake a mortgagee’s sale. Whether confirmation of Xiao will have retrospective repercussions is a matter for the future. The mortgagor’s victory in Xiao was somewhat pyrrhic as Hargrave J. went on to find that Xiao in fact held the property on trust for the forger (her husband) and that the lender was entitled to judgment against the husband, who had also been joined as a defendant. Hargrave J. was obliged to overcome the presumption of advancement applying to a transfer from husband to wife but did so by finding adequate evidence that it had been the intention of the husband at the time of transfer to retain the beneficial interest in the land. The mortgagee would therefore be faced with the need to enforce this judgment by way of a Warrant of Execution rather than a mortgagee’s sale. The mortgagee’s possession of the certificate of title would aid that exercise.